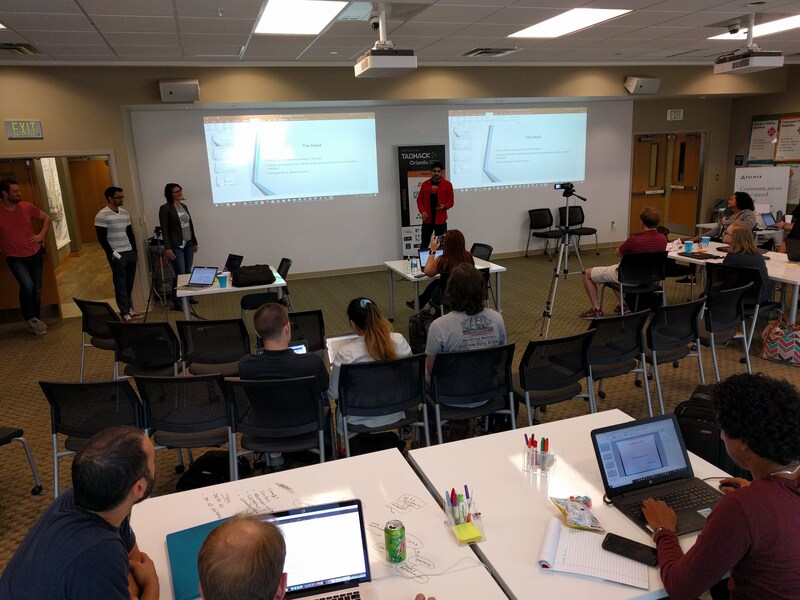 We’ve just wrapped up TADHack-mini Orlando 2018, held at Valencia College’s Collaborative Design Center. Just before Enterprise Connect 2018. 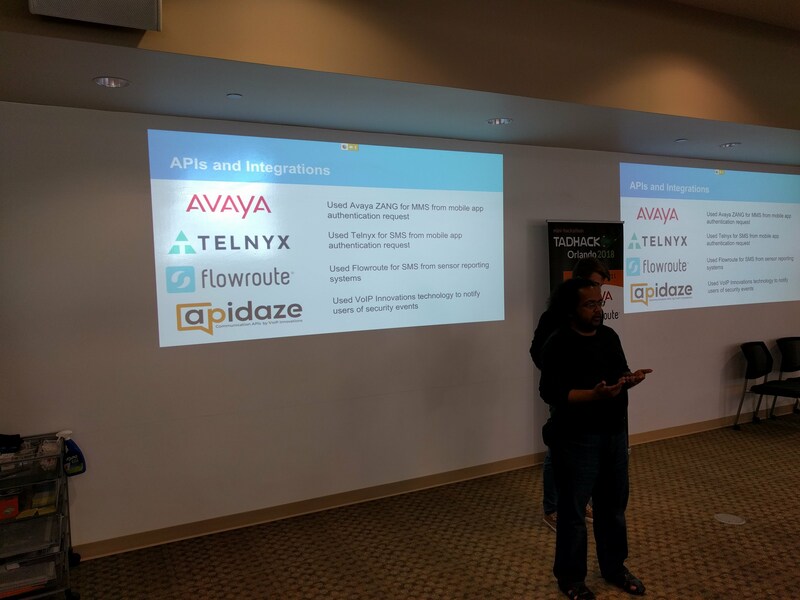 Thanks to the sponsors Avaya / Zang.io, Flowroute, Telnyx and VoIP Innovations for making TADHack possible. I’ll review all the hacks in a later weblog, this just focuses on the Orlando 2018 winners. But everyone who takes part in TADHack benefits. 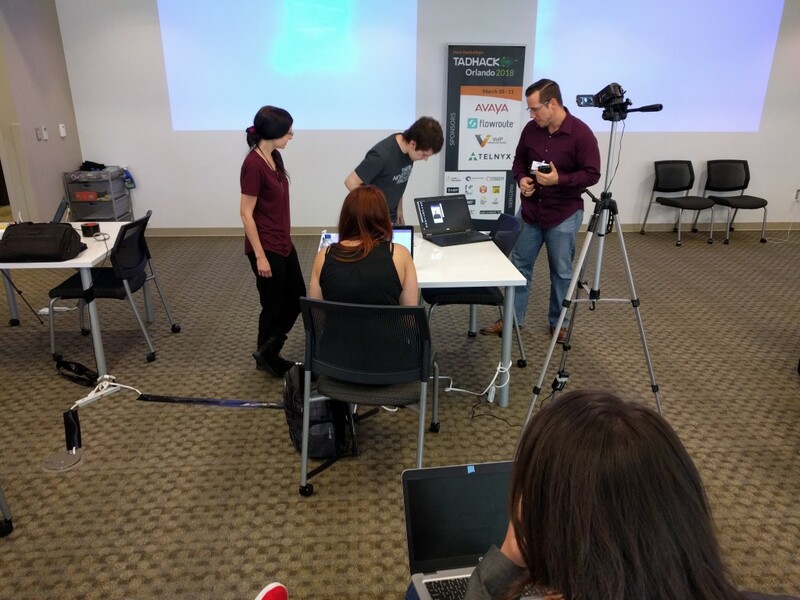 For example, Nathalia Bailey entered her first hackathon with TADHack, learned loads, and gave an excellent pitch with “Running Memoir” using Telnyx and VoIP Innovations. The first hackathon is always the hardest, she gained much from TADHack as did the sponsors in crystallizing their offer to a much broader audience. 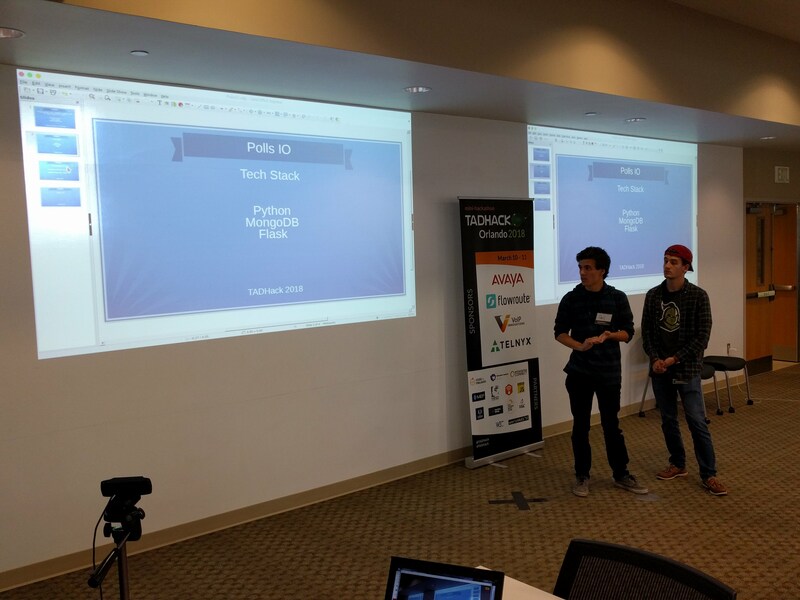 The diversity of TADHack challenges the sponsors across the spectrum of needs. See can see all the pitch videos, live streams and EC18 TADHack session content on the TADHack Orlando 2018 playlist. Hunter, Travis, & Matthew used Zang to developed a product to ease customer frustration while waiting on hold for customer service. By providing a channel of entertainment during the holding process, it alleviates frustration. The hack provides the customer with the ability to play games and make their own choice of music to listen to while waiting. Making customer service fun. They won $1k from Avaya / Zang. See their pitch video here and their slides here. Ashu, Hemad, Matt, Tiffany, Cole created a hack for Telephone Debating On The Go using Telnyx and Avaya / Zang. Everyone has opinions, and now we want to bring those opinions onto our application for others to view and argue on anonymously. Whether it’s debating who’s the most overpowered character on Smash Bros, the validity of the President’s actions, or feeling the rush of winning, there’s a topic for everyone to talk about and discuss. They won $200 from Telnyx. See their pitch video here and their slides here. Steffen, Bruno, Vikki, and Nicolas used VoIP Innovations, Flowroute, Avaya / Zang, and Telenyx to create their hack Ghosted. Their platform touches on a current issue facing many adults today, dating. Most people want to find love and meet their soulmate, but sometimes, you find some undesirable people who become too attached. Most dating apps have one pitfall, being able to directly communicate with a user with anonymity. Our app, “Ghosted”, brings forth anonymity to protect users, but allows a full scale system to communicate via SMS, MMS, and voice calls, without letting the other user know their phone numbers. They won $200 from VoIP Innovations, $500 from Flowroute, and $500 from Avaya / Zang. See their pitch video here, and their slides here, and video of their demo from Enterprise Connect. Conner, Paul, Giancarlos used VoIP Innovations to create a service that allows local government to be be more involved with their constituents and allows their constituents to be more involved with the local government by allow easy opinion polling on new projects, bills, etc. This will also allow the local governments to be able to easily send out updates on new legislature and its progress. This polling service can be generalized to be used for businesses and events. They won $400 from VoIP Innovations and t-shirts from Code for Orlando. See their pitch video here, and their slides here, and a video of their demo at Enterprise Connect here. 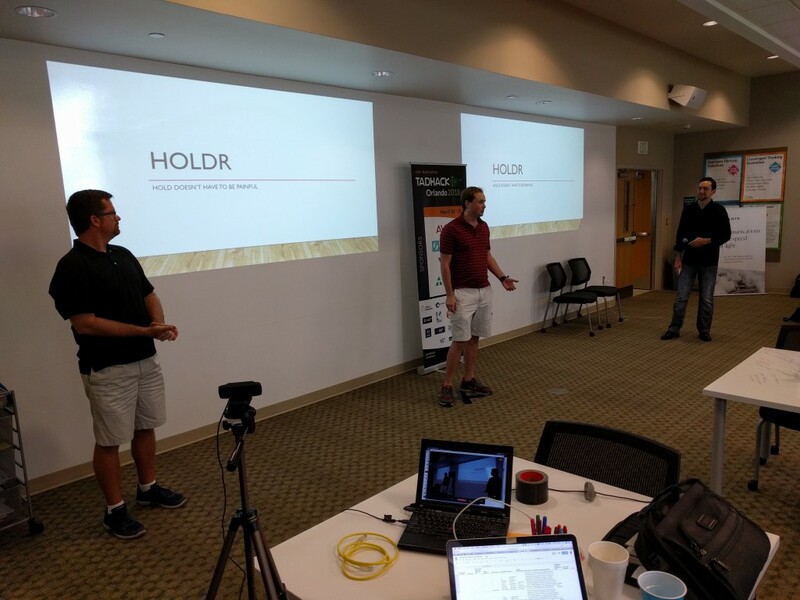 Justin, Koushik, and Thiago used Telnyx, Avaya Zang, Avaya/Arrow IOT to create Vote with Me that allows presenters to interact with their audience in real time. A presenter can ask a crowd a question and audience members can text their answer to the number presented. The results are tallied in realtime and summarized in a chart displayed online. Audience members can also download the arrow IOT app and vote by waving their mobile phone like at an auction. Audience members can also call a nuber to automatically register an up vote as well. They won $500 from Telnyx and $1000 from Avaya. See their pitch video here, and their slides here, and a video of their demo from Enterprise Connect here. 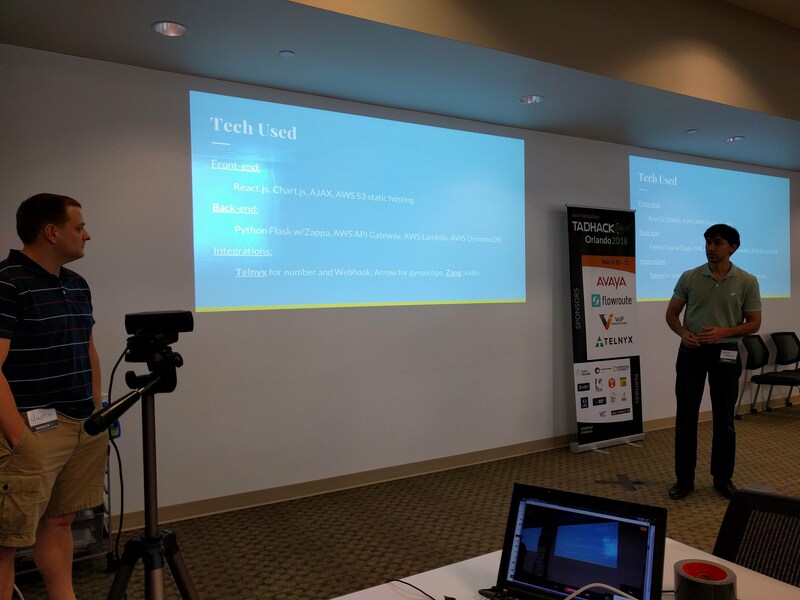 Tim, Jeremiah, Muntaser, and Chris used Avaya / Zang, Telnyx, Flowroute, and VOIP Innovations to create Ciphertext. A mobile application platform for shared and controlled access to your smart home devices. The mobile app allows you to share access to a smart-lock enabled door via an SMS text message or an MMS delivered QR code. You can also enable the system to recognize your face upon apprival and unlcock the door. If an intruder attempts to break into the system, you will receive an MMS notification with a photo of the intruder. Through the mobile app, you can also manage control of other smart home devices with friends and guests. They won $400 from VoIP Innovations, $500 from Flowroute, $300 from Telnyx, and $500 from Avaya/Zang. See their pitch video here, and their slides here. 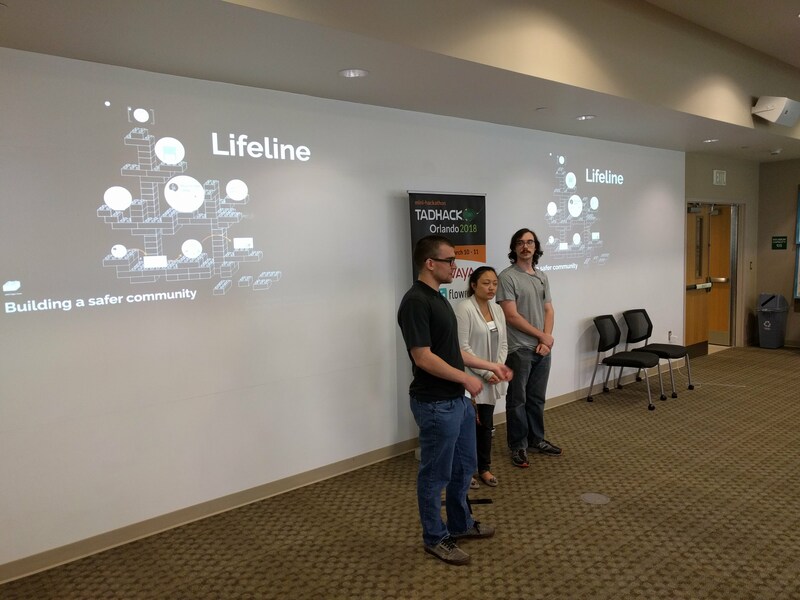 Will, Tom, Jesse, Eric, and Alicia used Avaya to create their hack Lifeline. Creating a program to contact emergency services and send out contact to family members to inform them about the situation. They won Code for Orlando t-shirts. See their pitch video here and their prezi here.